Chart-topper and BRIT-nominated artist Example has been announced as the latest official ambassador for Teenage Cancer Trust. The Changed The Way You Kiss Me singer has been a keen supporter of the charity since headlining a night at Teenage Cancer Trust’s annual fundraising concerts at the Royal Albert Hall last year. Since then he has personally raised over £20,000 via guest list donations from his recent arena tour and has visited various Teenage Cancer Trust units across the UK to meet young cancer patients. 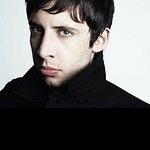 To celebrate his new role, Elliot Gleave aka Example, has donated items of clothing for a special eBay auction featuring ten pairs of trainers and ten jackets which he has worn whilst performing on stage, in press shots and in music videos. From 8pm on Sunday 7 July for one week only, fans will be able to get their hands on one off items such as the Versace Collection jacket he wore at last year’s BRIT Awards, signed trainers he wore in the Kickstarts video shoot and a whole bunch of limited edition pieces, including David Beckham for Adidas and McQueen for Puma jackets. Access the auction here. Example who has had numerous number one singles and albums, will also continue his support during his summer residency at Ibiza Rocks and Mallorca Rocks of which Teenage Cancer Trust is also the official charity partner for the 2013 season. 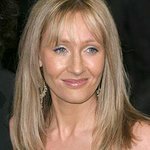 Example now joins fellow ambassadors Noel Gallagher, Eddie Redmayne, Nicholas Hoult, Dynamo, Noel Fielding, Caroline Flack, Jameela Jamil, Harry Judd, Jack Lisowski and Judd Trump in supporting the charity on a national level. Teenage Cancer Trust is the only UK charity dedicated to improving the quality of life and chances of survival for the six young people aged 13 and 24 diagnosed with cancer every day. Traditionally treated alongside children or elderly patients at the end of their lives, young people can feel extremely isolated during treatment, some never meeting another young person with cancer. The charity builds specialist units within NHS hospitals bringing young people together to be treated by teenage cancer experts in a place designed just for them. Teenage Cancer Trust wants every young person with cancer to have access to this specialist support, no matter where they live. For further information visit www.teenagecancertrust.org. To donate £1 to Teenage Cancer Trust text EXAMPLE to 70300.